To get all the benefits from the listening program, make sure that the headband is in direct contact of the top of the head. 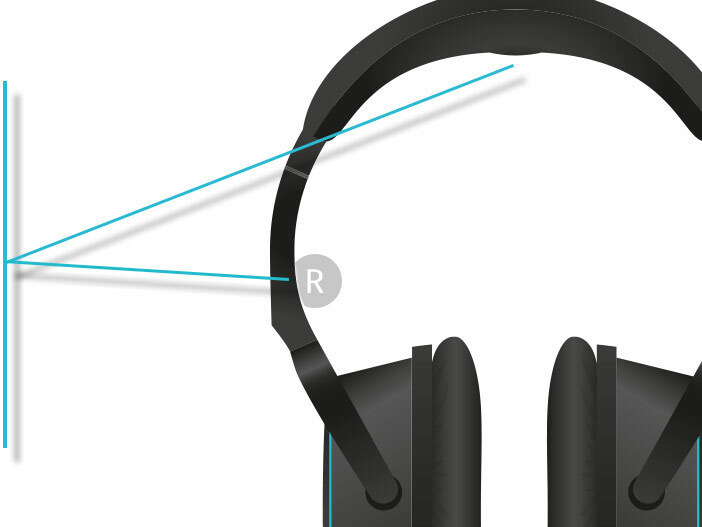 You also need to respect the left/right marks while putting on your headphones. 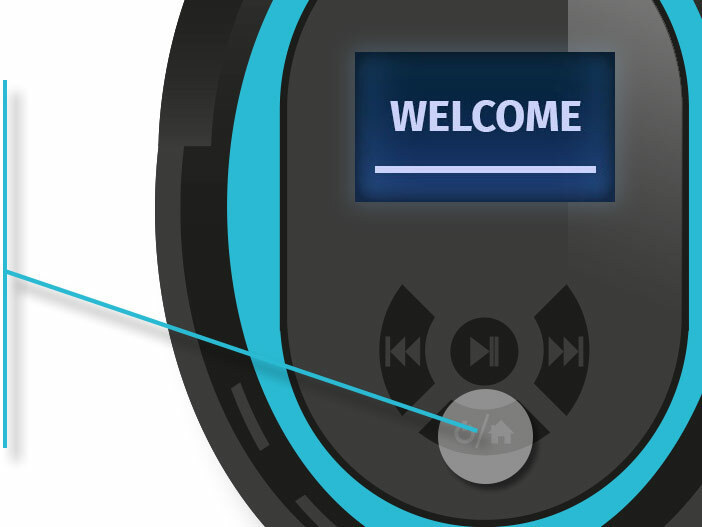 To turn on your SOUNDSORY®, press and hold the lower button for a few seconds until the screen displays « WELCOME ». Make sure the headset is enough charged before starting a session to avoid any interruption. The program starts over from the last day you left off. Press the “play/pause” button to start the listening. To stop the listening, press a second time the “play/pause” button. To start another day, press briefly the « home/power » button, then navigate until the desired day with the forward and backward button. Each day contains two folders. Let’s take example of Day 1. – The first folder « DAY 01.1 » is the listening program of 25 minutes. – The second folder « DAY 01.2 » is the Movement program of 5 minutes, you need to do the exercises while listening to it. 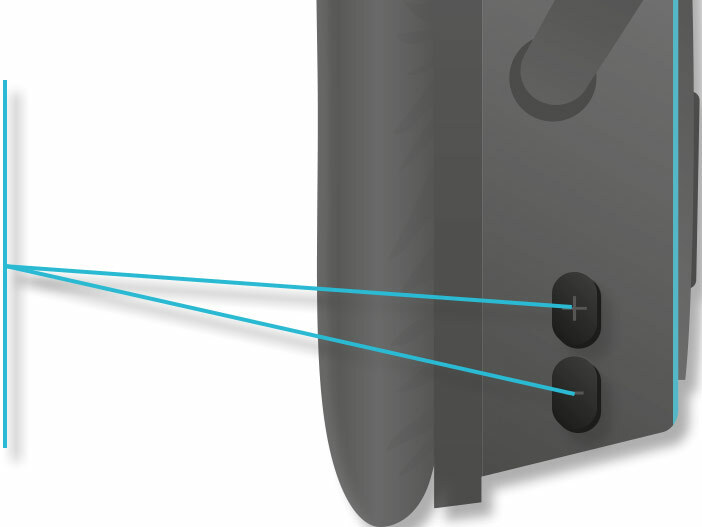 To adjust the volume, use the + and – buttons on the side of the ear shell. The sound must be neither too low and nor too loud. If you are setting the headphones for another person, make sure it is adapted to his/her own sensitivity. If you turn off and on the headphones, the sound will be back at the regular volume of 11. 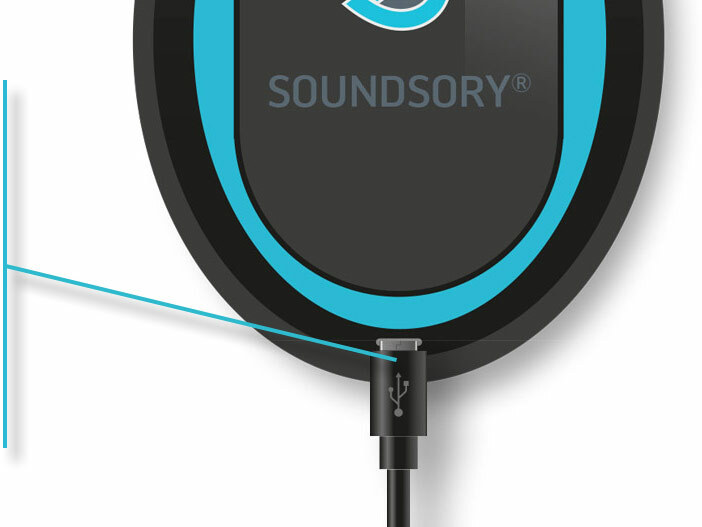 To charge your SOUNDSORY®, connect it to a standard USB port on your computer or wall charger with the provided cable. 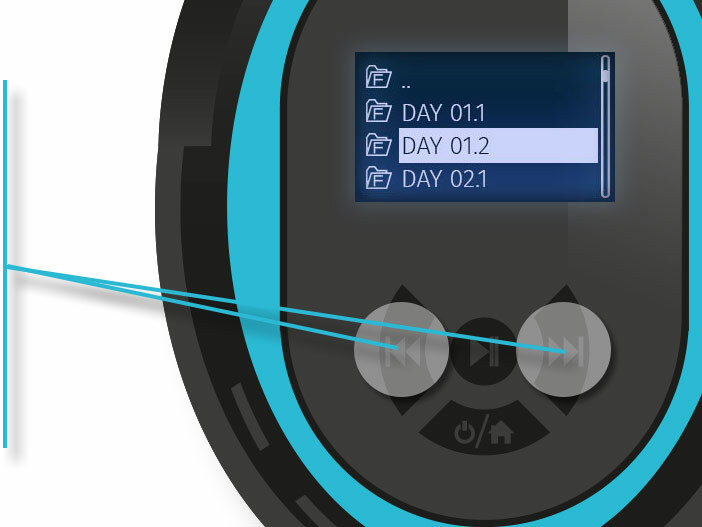 When fully charged, the screen will display a fix battery icon. To turn off the device, press and hold the lower button for a few seconds. 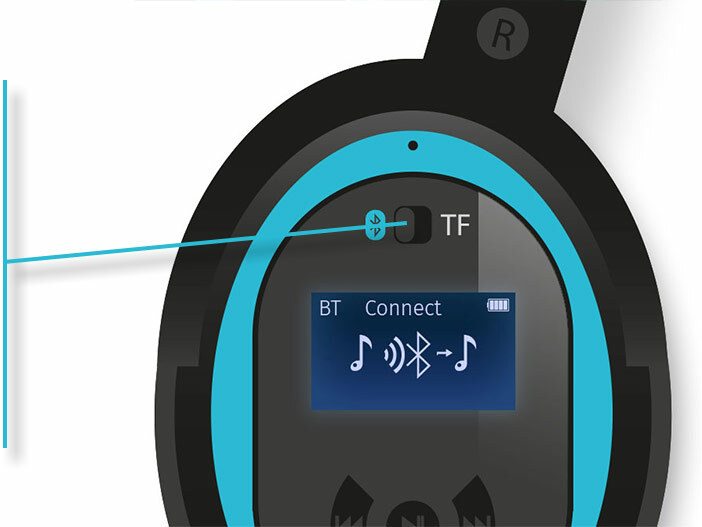 You can also use the device as a Bluetooth headphones to listen to regular music and make phonecalls. Simply switch the button from TF to the Bluetooth logo. Then select « Soundsory » in your device’s bluetooth settings. 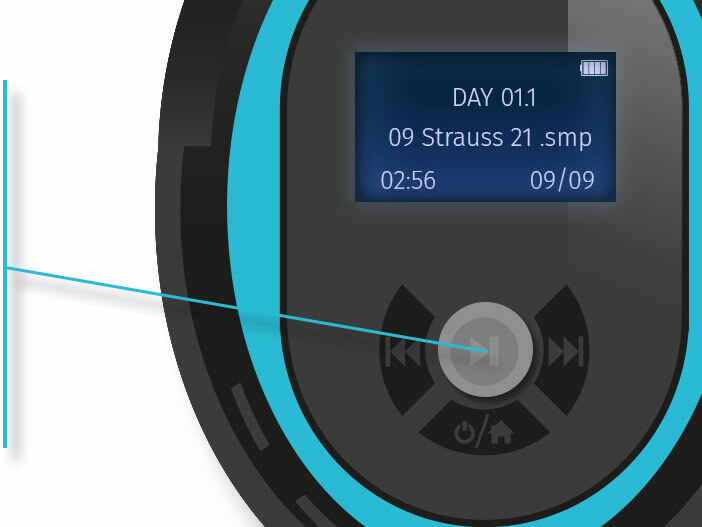 When used in Bluetooth, the bone conduction sound will be automatically disabled.